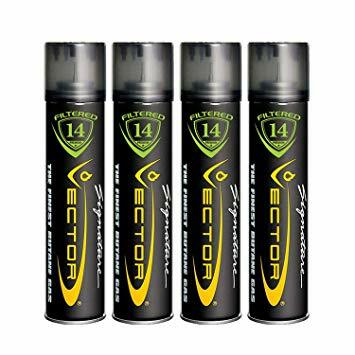 Not all butane is created equal, and Vector's Premium 14x refined butane is a perfect example of that. From refilling lighters, torches, you name it the Vector Premium butane will easily get it done. The cap of each can has adapters to help fit any type of filling device your lighters may have. If you find yourself destroying your favorite lighters and torches with run of the mill butane, we can't recommend Vector enough. It truly makes a difference across the board.